If you are reading this, it is likely that you are not a plumbing expert. Not everyone can be. But knowing how your plumbing works is important, whether you are a plumber or not. When you understand how your plumbing works, you will be able to perform maintenance and diagnose problems easier. 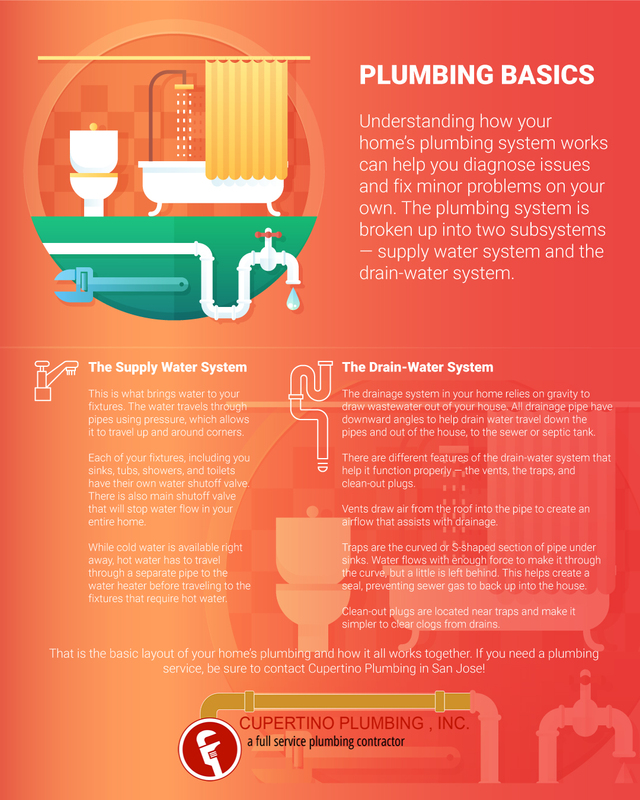 While it may not be the most interesting topic, how your plumbing system works is something that everyone should know the basics on. You will likely run into multiple problems with your plumbing throughout your entire life, since everywhere you live will most likely have a plumbing system. By understanding the basics, you will be able to take care of minor issues on your own and know when a plumber is necessary. At Cupertino Plumbing, we offer our expert plumbing services in the San Jose area. From sewer repair and replacement to sump pump maintenance, we can provide you with the plumbing services you need to keep your plumbing and home in great condition. In this blog, we are going to look at the basics of plumbing and give you information on how it all works. Read on to learn more! Your home’s plumbing system can be broken down into two subsystems. These systems are the water supply and drain-water systems. One brings fresh water in, while the other drains wastewater out. When you break it down into the two systems, it is easier to understand how it all works and what problems your plumbing is facing. The water supply system brings water into your home using pressure. This pressure is needed for water to travel upstairs, around corners, and to different areas of the home. Each of your sinks, toilets, and tubs have their own water shutoff valve, allowing you to stop the water if you ever have an issue with one of these plumbing fixtures. If a pipe bursts and the plumbing emergency is not confined in one area, like the toilet, there is a main water shutoff valve that will turn the water off to your entire home. It is important to know where this valve is just in case you find yourself in a plumbing emergency. The water supply system can be broken down even more — hot and cold water. While cold water is ready for you to use at any moment, hot is not, which we all are aware of. To get the nice hot water that we all love, there has to be an extra step in the process. There is a pipe that carries water from the cold water system and brings it to the water heater. Heated water is carried in a hot water line to appliances and fixtures that need hot water. You can set the temperature on your water heater, which will regulate the temperature of the water. The drain-water system in your home relies on gravity to function properly. All of the drainage pipe angle downwards, allowing wastewater to drain out of your home and to the sewer or septic tank. The drain-water system also includes vents, traps, and clean-outs. The vents of the drainage system allow for air to enter the pipes, providing airflow. Without proper air flow in the vent and through the pipe, wastewater will not flow properly and it will likely sit in the traps. The traps are an important part of the drainage system. You can see the traps under each of the sinks in your home. This is the area of pipe that is curved or S-shaped. Why would you want to put a curve in the pipe that is supposed to be removing wastewater from your home? Water flows down the drain with enough force to push through the trap and down the rest of the drain pipe. However, some water is left in the trap. This water is important. It creates a seal that prevents sewer gas from rising into your home. Every plumbing fixture has and needs a trap. Bathtubs and kitchen sinks can often come with special traps. Tubs can include a drum trap, which helps capture hair and kitchen sinks have grease traps. These are both used to help keep your drains from clogging. Each aspect of the drainage system has to be working well in order for wastewater to be removed from your home properly. It is likely that you will have to clear out the traps of your drain-water system to help prevent clogs. There is generally a clean-out plug to help make this task simpler. Both the water supply system and the drain-water system work independently. They do not have any overlapping operations. The connecting piece of these two plumbing systems in your fixtures. 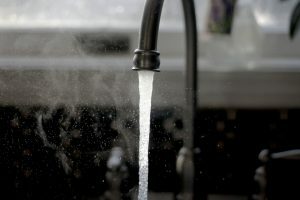 Any device or appliance in your home that draws in freshwater and sends out wastewater is a fixture in your home. Once you understand these plumbing basics, it is not hard to understand how the entire system works. 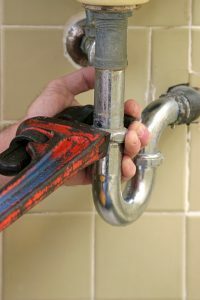 By learning how the plumbing in your home works, you can better diagnose issues and fix small issues on your own. It is important that every homeowner understand the basic functions of their home and how they work. When you need plumbing help in the San Jose area, be sure to call Cupertino Plumbing! We will be able to fix any and all of your plumbing issues and get your home back in great condition. Be sure to check out the services we offer and get an estimate today! We hope you learned about your home’s plumbing system and are happy to help with your plumbing needs.